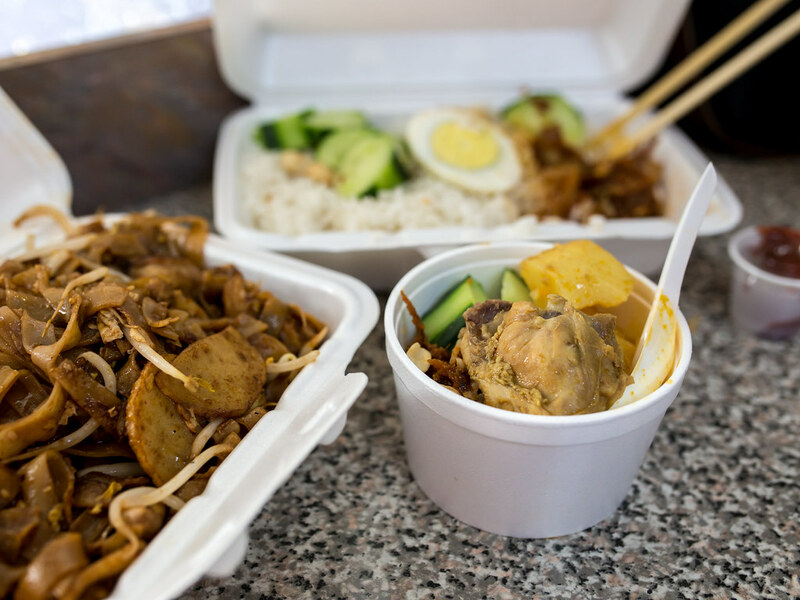 One2 Snacks was recommend to The Hubby and I by one of his co-workers and described as serving the best Malaysian food in Toronto. We were warned about the small shop and very limited seating, One2 Snacks was less a restaurant and more a take-out place. 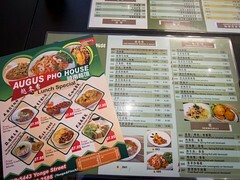 Both The Hubby and I wanted to try eating in if possible, so we aimed to visit at an off-peak hour. Even then, we weren’t prepared for the crowd and just how small the venue was. 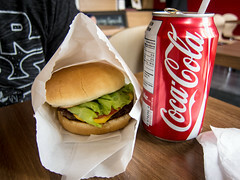 Located in a Scarborough strip mall, One2 Snacks was basically a 10 ft square feet with a deli counter and 8 seats squeezed in. A high bar was set up along the front window and low counters outlined the counter and one wall. Diners waiting for takeout, either hung out outside, or jammed against the back of those eating in. It was a tight fit. Each menu items with a photo was displayed on the wall, including desserts only available on weekends. One2 Snacks is open only Thursday-Sunday. 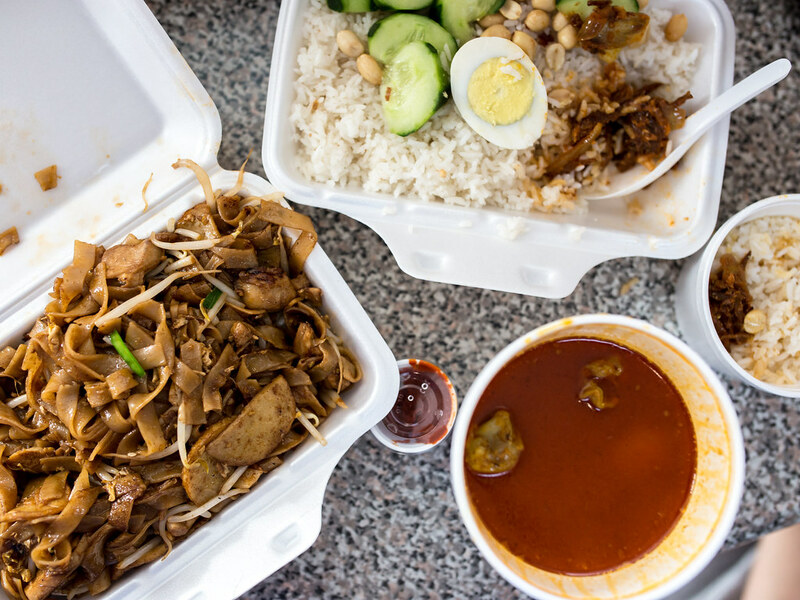 For the two of us, we ordered the Nasi Lemak (weekend only) with chicken curry, Char Kway Teow and Curry Puffs. After placing our order at the cash, we managed to snag two seats at the window. This was great, because we ended up having to wait 45 minutes before anything arrived. Even though we stopped by at 2pm, what we thought was off-peak, the phone at One2 Snacks did not stop ringing. It felt like take-out/phone orders were given priority to dine-in ones, or the volume of orders was just so high that it took that long for our food to move up in the queue. Either way, next time I’ll be calling ahead, or arriving not too hungry. 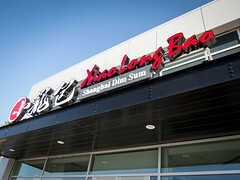 The shop is also notorious for selling out of popular dishes and desserts. As for the food, it was worth the wait. The Nasi Lemak has a great texture and each grain of rice was infused with coconut flavour. The chicken curry was rice with spices, thick and oily (flavour!) but not greasy. Pretty much delicious. Chunks of potatoes soaked up the curry and drumsticks had meat falling off the bone. The container of Char Kway Teow was filled to bursting with thick fried noodles and lots of smokiness. This was the best Char Kway Teow I’ve had in Toronto so far in terms of taste and texture. 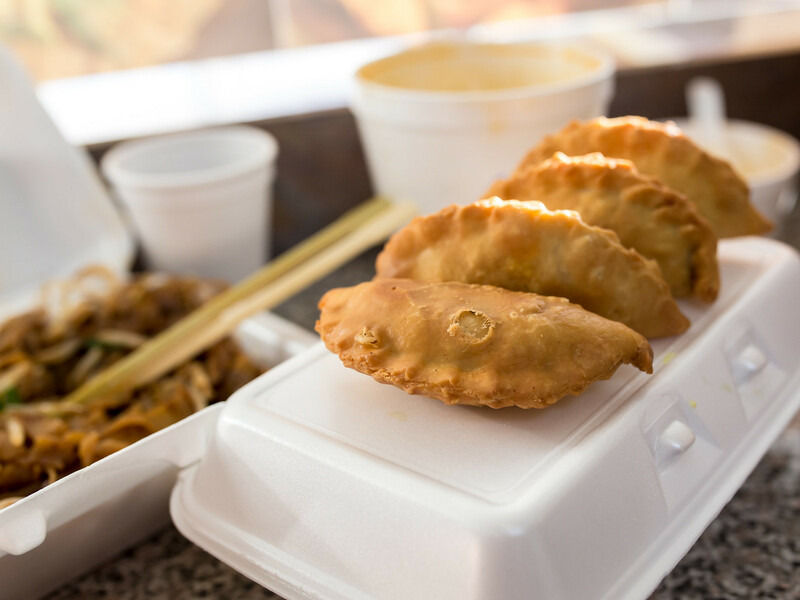 The curry puffs reminded me of samosas, deep fried pastry filled with a thick curry sauce (of potatoes?). They weren’t too greasy and there was a bit of heat with each bite, these could be addictive. 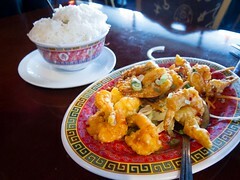 One2 Snacks served up mouthwatering, home cooked Malaysian cuisine with no flair and a bit of a wait. Service was friendly and as efficient as possible, given the high demand. I’ll be much more prepared on my next visit and will definitely be ordering the laksa.